As an intern at The Abraham Initiatives, my job for the past few weeks has been to research the winners of the Champions of Shared Society Award. The Champions of Shared Society is an award given by the Abraham Initiatives to leaders in the field of shared society in Israel. My job started out as simply Googling unfamiliar names, but quickly turned into an eye-opening opportunity to learn about some of the most inspiring and dedicated individuals in Israel. Through this research, I discovered the incredible stories of the entrepreneurs, educators, authors, and activists dedicated to creating a shared society in Israel. I finally had the chance to meet these inspiring leaders, last Tuesday, at the Arab Hebrew Theatre in Jaffa. The winners came to accept their awards and give an acceptance speech. 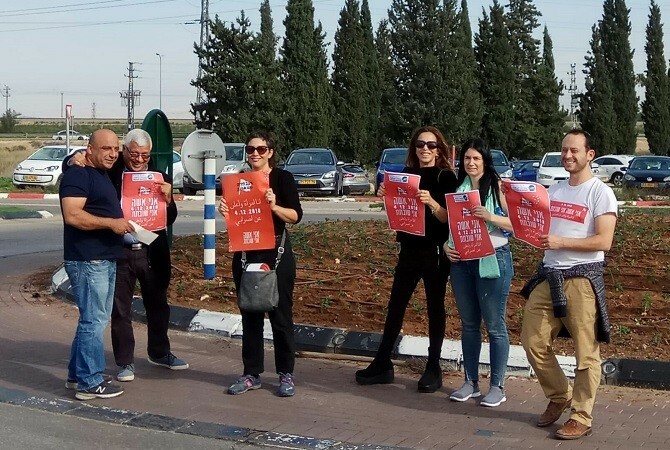 The audience was full of individuals from all backgrounds, religions and ethnicities, but are all connected in that they (or someone that they support) are fighting for a more equal society in Israel. When I heard the introduction speech start, I was reminded just how special this crowd is, especially at this time. Due to a botched IDF operation in Gaza that left an Israeli officer and multiple Palestinians dead, tensions have been stronger than normal here. With Hamas sending hundreds of rockets in retaliation, the feeling of fear and anger have been tangible throughout Israel. However, being in a room with Arabs and Jews that are all dedicated to working together towards peace and equality, the sound of optimism and support muted the other noise. A Program Director at The Abraham Initiatives, Rasool, told the audience a personal story that night. 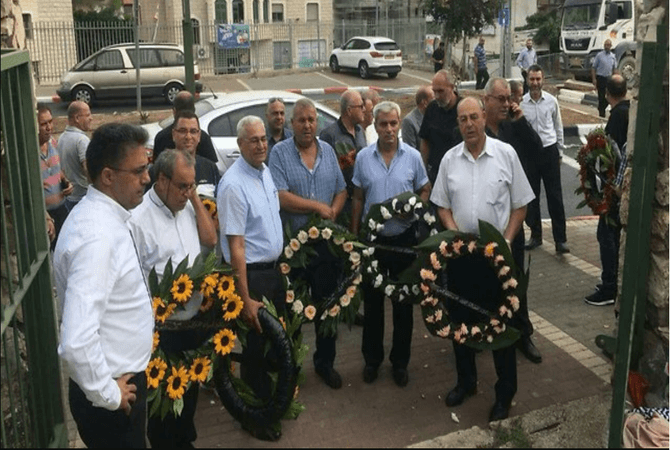 Rasool, who is Arab, was a student living in the dorms with a Jewish friend, Itai. While they had managed to maintain a healthy friendship despite tensions in Israel (Rasool having family in Gaza and Itai serving in the IDF), the differences became too much to withstand when war broke out in Gaza in 2012. After this, the atmosphere in the dorm grew tense, and distrust and distance began to build between them. This lasted until Rasool demanded that they talk openly to clear the air. After this, they were able to go back to the friendship they once had- a normal one. This story leads me to believe that although there will often be obstacles standing in the way of peace and equality, each side has the ability to move around those obstacles to reach a point of understanding. The awards began with Dr. Sarah Ozacky-Lazar, a woman who has dedicated her career to promoting equality and partnership between Arabs and Jews. As I watched her walk onto the stage, my mind raced with all the things that I had read about her during my research. Dr. Ozacky worked on publications that cover a wide-range of Arab-Israeli concerns, such as landscape architecture, environmental policy, citizenship equality, and offensive legislation. She received the UNESCO Prize for Peace Education while working at The Jewish Arab Center For Peace and ran forums concerning Israeli-Palestinian regional sustainability and the promotion of Arab society in academia. During her acceptance speech, she answered a question that was on my mind as I discovered her accomplishments: what led her into this field of work? She told the audience that she has been dedicated to this cause ever since she was fourteen years old, thanks to a teacher who taught her about Arab history and encouraged her to learn more on her own. This mention of her influential teacher was the perfect segue into the next winners of the award. School principals, Cochi Cohen and Omar Salameh, accepted their award for their Jewish-Arab educational partnership. Cohen, Principal at a Jewish school in Ra’anana, and Salameh, Principal at an Arab school in Qalansuwa, have led social and educational programs between their schools for the past four years. 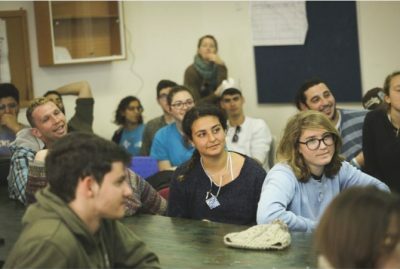 Their programs give Arab and Jewish children the opportunity to defy stereotypes, develop friendships, and lead the way to shared society. In her acceptance speech, Cohen reiterated the idea of how influential educators are in students’ lives. “Educators have a responsibility to instill values in children,” she said. Cohen and Salameh have faced many obstacles, but did not let that get in the way of their progress. Cohen said she constantly has to work to help children overcome their fears to allow them to really get to know each other. It is shocking to me that these children can live five minutes from each other, but if one is Arab and the other Jewish, they are not likely to have interaction. Worse, their only exposure to each other will be from the media or what they are told by their parents. 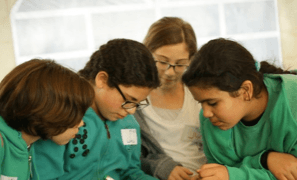 Schools need programs like this, and I have hope that with educators like Cohen and Salameh, and organizations like The Abraham Initiatives, programs like this will be implemented on a national level. The next winner of the award was Tsofen, a nonprofit with the mission to integrate Arabs into Israel’s high-tech industry as a means for economic advancement. They do this by training and placing Arabs in the high-tech industry, and encouraging the establishment of high-tech parks in Arab cities. During his acceptance speech, CEO, Sami Sadi, talked about how Tsofen came about. He said that since Israel is known as a start-up nation, the best way to work towards a shared society would be to do it though high-tech. Tsofen’s initiative was adopted by the government in 2018, leaving two new high-tech parks in Arab cities. “Let’s not just bring Arabs to high tech, lets bring high tech to Arabs,” Sadi told the audience. While Tsofen has already done amazing work in the field of shared society, what impressed me the most was what Sadi told me when I had the chance to interview him. He told me that Tsofen is currently in the process of collaborating with Ethiopian and Haredi high-tech communities. Bringing these communities together will not only result in an exchange of skills, but hopefully an exchange of culture as well. Hearing about this collaboration was especially exciting for me because I work at Tech-Career, the Ethiopian high-tech NGO that Tsofen is collaborating with. When I first took these jobs, one working with Ethiopians and the other with Arabs, I never thought that they would intersect. This connection really touched me and left me feeling optimistic about Israel’s direction in shared society. The last recipient to accept his award, was Said Abu Shakra, an activist and artist who established Israel’s first Arab art gallery. The gallery offers courses for Arab and Jewish children, students, adults, and artists, focusing on identity, encounters, shared values, and the recognition of communities. Said Abu Shakra is currently working on developing The Umm al-Fahm Museum of Contemporary Art, which will present history through the eyes of Palestinians and lead to more dialogue. Abu Shakra has a unique perspective on Israel and conflict, considering he worked as a Jerusalem Police Officer. I had the chance to talk with Varda Shachan, a former police officer and friend of Abu Shakra. She describes him as always being dedicating to helping the Muslim community, whether it be through his role as a police officer, an artist, or an activist. She said a majority of the police department, Arab and Jewish, support Abu Shakra’s mission. This defied many stereotypes that I have heard about Israeli police and was a breath of fresh air to hear. Having the opportunity to meet these leaders and listen to their stories is an experience that I do not take for granted. 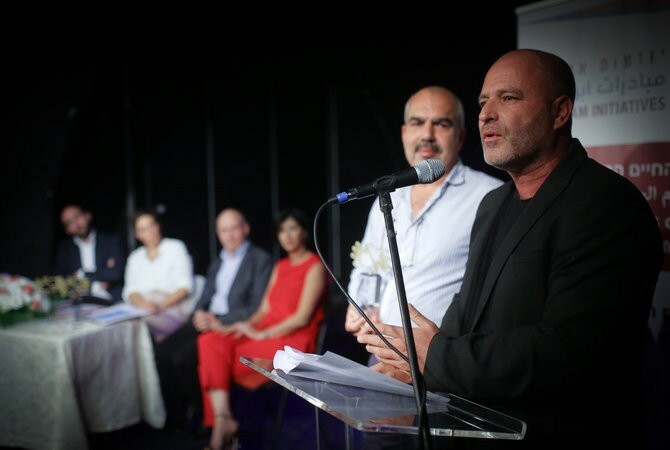 During my time outside of the Abraham Initiatives it is easy to forget how many Israelis are fighting for equality, but being in the Arab Hebrew Theater Tuesday night, it was impossible to ignore those efforts. Seeing all of the winners, working in different fields come together for the sake of shared society was an amazing sight.